Did you know Stress at the Computer is the #1 Cause of Shoulder Pain! We often discuss seasonal stress and how the #1 cause of neck, shoulder and mid back pain is emotional stress! Your mind is a very powerful machine, and like most machines, when it gets overloaded it heats up, shuts down and takes longer to process simple tasks. When the mind is overworked or stressed, similar reactions can be expected. Don’t let tax season stress get the best of you! During this time of year when everyone is worried about what their taxes will look like, or stressing over what items they may or may not need to gather together for their yearly assessments, it is easy to become overwhelmed emotionally. Dr. Justin Davis says your mind is already dealing with the day to day events of working, paying the bills, and family obligations and when you add in additional stress, like Tax Season (especially if you’re a CPA), and you can expect to experience additional painful aches and tension in the neck, shoulder and mid back where complaints are typically lower or even non-existent. When sudden life stress pops up, the body reacts in the same manner as if you were suddenly physically jarred, much like in an auto accident when the body’s muscle tighten up in an attempt to brace for impact. It is a protective instinct for the body to react physically to your sudden emotion. Unfortunately, however, that presents a new set of complaints. Best way to avoid this? According to Dr. Justin Davis, preemptive care is the #1 Best Way to avoid stiff, sore, and painful aches due to tax season stress from occurring in the first place. The simplest way is to think of it as an annual treatment program. Get yourself into a good physical state before the impact of sudden stress and tension strikes! Regular weekly adjustments and electrical muscle stimulation can be the best proactive defense in battling against upcoming tax stress. Your body can only be as good to you as you are to it, and a healthy body is one that is functioning at it’s best, not suffering from painful aches at the spur of stress. Healthy bodies deal with pain and stress like mature, capable adults; while an unhealthy physical body with joints out of place and limited mobility will react like a spoiled child at the onset of any additional sudden stress. Don’t let Tax Season get the best of you! 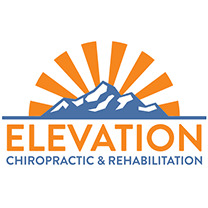 Come on down to Elevation Chiropractic & Rehabilitation and get your joints and muscles healthy and well prepared for the upcoming month! Dr. Justin Davis, Chiropractor, and father to a 10 month old baby boy, knows all too well about being sleepless in Tigard. “The first 2 months were an absolute blur”, Dr. Justin Davis says as he recalls his introduction to parenthood. “I never realized just how important sleep was until we had our first little monster. Suddenly 8 hours per night of sleep changed to 4-6 hours.” Soon colds became more relevant in the household. Forgetfulness and potential accidental injuries are suddenly something to be aware of! Stress can easily creep up on you with lack of sleep as well. Our goal is improved health, and with that this local chiropractor will assess your sleep habits to ensure your stress and chiropractic needs are not an associated reaction to sleeplessness. When you improve your sleep, your ability to mindfully assess projects, interact with others, even avoid potential injury is automatically improved as well. Weekly adjustments by your chiropractor, and even massage therapy, can help in improving sleepless nights. If you aren’t getting enough sleep then you will run the risk of incurring an injury if you are engaged in sports or athletics. As a Chiropractor, Dr. Justin Davis aims to help his community not only with pain, but overall health. This also includes quality rest to keep injuries to a minimum. Healing can even take longer when your body is not well rested. Over 50% of adolescent athletes report getting less than 8 hours of sleep. This statistic is shocking! As it is, adolescents require more than 8 hours of sleep each day, and are placing themselves at a high risk of injury, exhaustion and reduction in grades and focus during moments of loss of quality sleep. Dr. Justin Davis is most certainly not a “sleep” doctor, but as a Chiropractor, he does treat quite a lot of exhaustion related injuries. If you are suffering from loss of mobility, focus, increased injury, stiffness, overall mental fatigue, and stress or feeling overwhelmed due to loss of sleep; it is very possible that your body is begging to be adjusted! Give our office a call today for an initial visit and full physical assessment to see if chiropractic rehabilitation is recommended for you.